Our Coins and Banknotes Auction held on the 18th February 2015 contained over 460 lots. It was our first auction of 2015 and was well attended with over 90% of lots finding new homes. 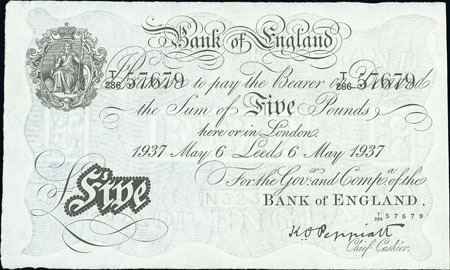 In the British banknotes section this E.M. Harvey 1921 (11 Nov) £5 Leeds Branch note, good very fine, sold for £554. Leeds Branch notes proved popular in this sale, with lots 221 and 222, K.O. Peppiatt 1937 (6 May) £5, good very fine, selling for a combined total of £1,062. This lovely uncirculated B.G. Catterns £1 achieved £247. 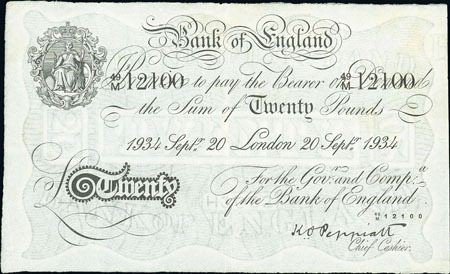 This 1934 K.O. 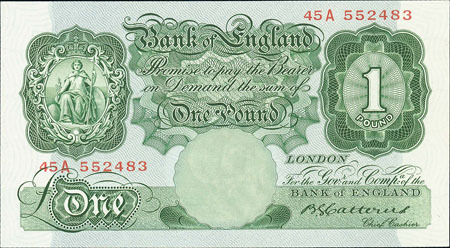 Peppiatt £20 realised £649. These more modern J.B. Page 1978 £1 experimental issues both sold for an impressive total of £424. 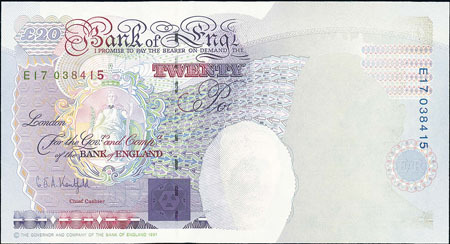 This stunning 1991 £20 error realised £165. 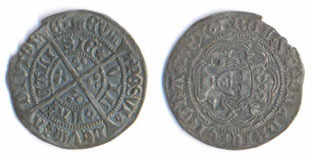 The British coin section highlights included this Henry VIII second coinage groat, very fine, which achieved £271. 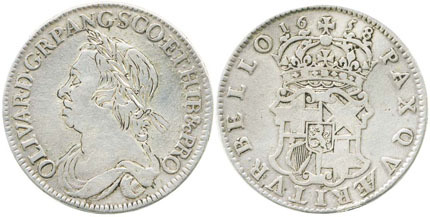 This Oliver Cromwell 1658 half crown, even though graded as poor/ fair, cleaned and extensively tooled, proved its scarcity by selling for an amazing £649. An unusual item, this Queen Anne copper pattern half penny, very fine, achieved £354. Guineas proved as popular as ever with our buyers. 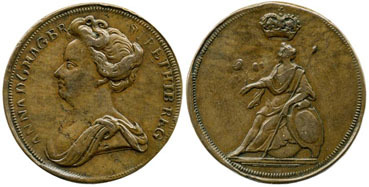 Highlights included this 1782 guinea, extremely fine, which achieved £826. And this 1798 guinea, also graded as extremely fine, which sold for £826. This 1831 sixpence plain edge proof, FDC, realised £483. 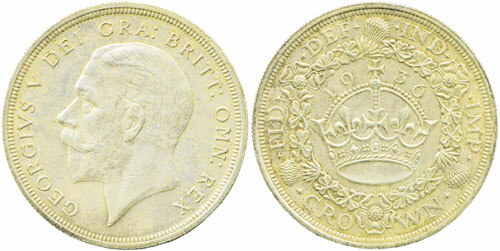 There was a lovely selection of George V crowns in this sale, the highlight of which was this 1936 example graded as extremely fine, which sold for £519. In the gold section, small was obviously beautiful with this George III third guinea selling for £153. And these 1818 half sovereigns selling for a combined total of £460. Token lots all sold extremely well with lot 524, a miscellaneous lot containing 60 tokens, selling for £365 and lot 525, a 1796 half penny Middlesex P. Skidmore, selling for £165. The highlight of the Roman coins section was this Constantius II gold solidus dating from 337-361, which achieved £649. 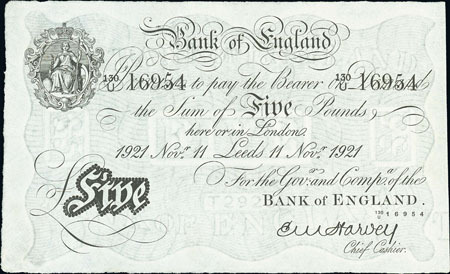 Our next coin and banknote auction will be held on Wednesday 22nd April 2015. Look out for our full catalogue for this sale which will appear on our website in the next few weeks or keep an eye on our Twitter and Facebook pages which will include updates of our latest auction news. Are you thinking of selling your entire coin collection or part of it? Would you like us to value your coins and banknotes and give you advise on how best to market them? Visit our selling page for more information, or send an email to me, Richard Beale.